The B.S. degree in Environmental Earth & Soil Sciences provides a strong foundation for understanding the natural environment and improving the utilization and stewardship of land, water, and atmospheric resources. 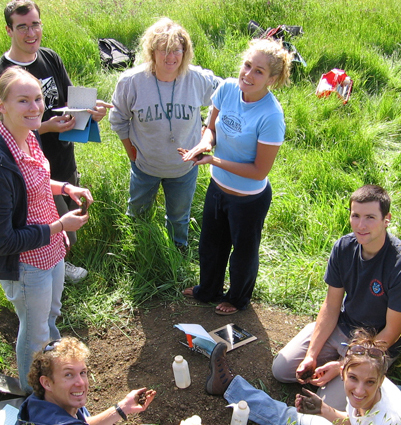 The program emphasizes the application of a wide range of disciplines in environmental science. The core of the earth and soil sciences curriculum is composed of geology, geography, soil science, and basic science courses. The program is strengthened by a diverse array of related topical and technical specializations in climate change studies, environmental mitigation strategies, environmental policy and management, forest and environmental practices, geospatial technology, hydrology, soil geotechnical studies, sustainable agriculture, and urban forestry. The program furnishes students with the marketable expertise to assess, manage, restore, and improve the fragile relationship between humans and their habitats while acquiring a well-rounded education in the environmental sciences. In addition, graduates can meet the educational requirements for professional certification in erosion and sediment control, hydrology, soil conservation, soil science, and provide ideal preparation for graduate school in a number of related disciplines.